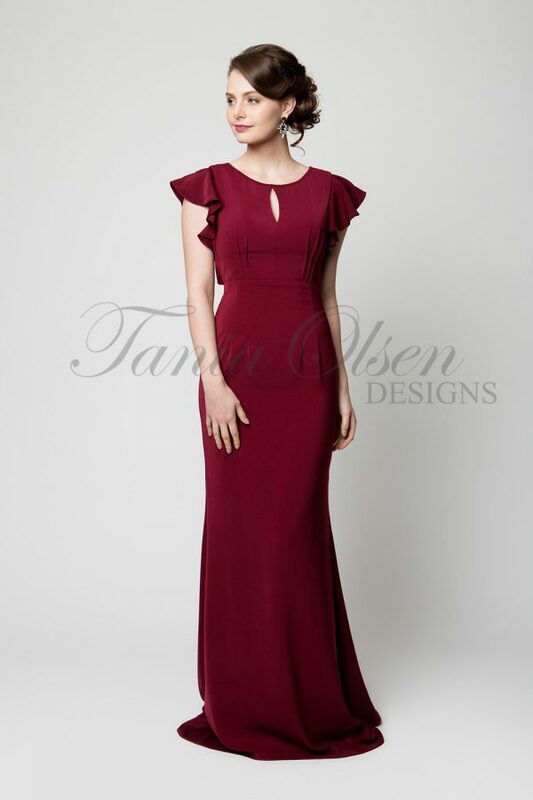 This romantic Ruffle Neck Evening Dress by Tania Olsen features a low cut back, detailed with a high front hem line with a ruffled Spanish inspired edge. 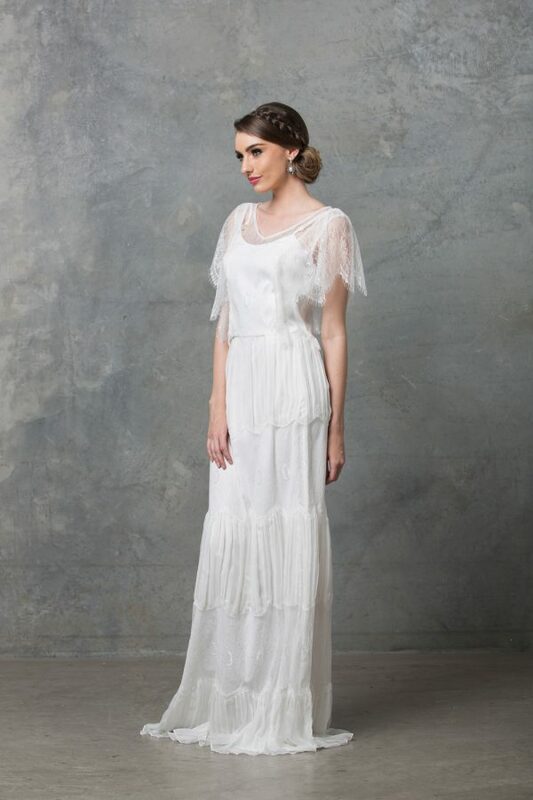 Dance the night away in this stunning Ruffle Neck Evening Dress! 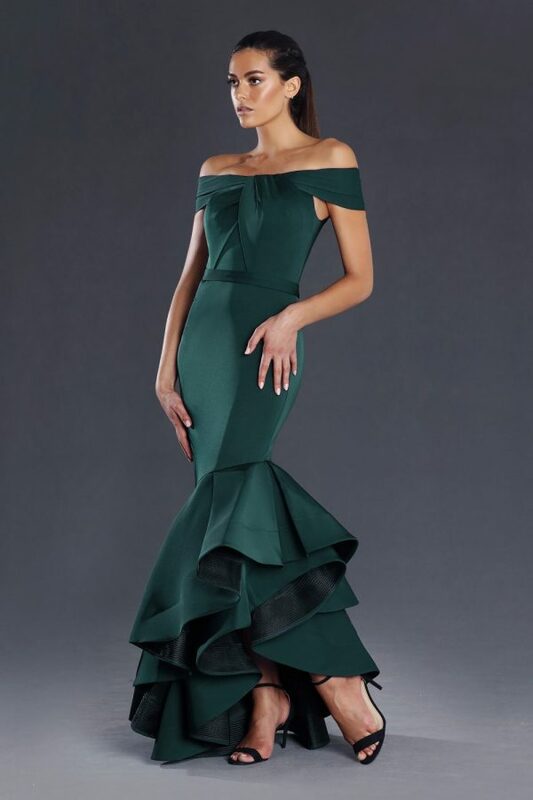 With its daring low back, and gorgeous ruffles spread throughout the upper bodice, this piece is certainly a statement maker. Inspired by salsa, the dress is fabricated from satin, gliding smoothly across the body before falling the the floor. Wear with strappy heels and a bold lip to take you from day to night party. This dress is available in two colours, black or red.